Cabanatuan is a highly urbanized city in the province of Nueva Ecija. With its central location, Cabanatuan is considered as the trading center of the province best known for rice production. 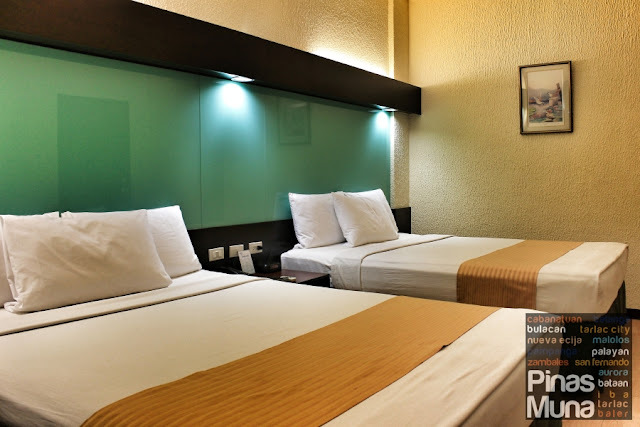 The city's commercial significance called for an affordable and relaxing accommodation that can cater to business men, traders, balik-bayans and tourists. 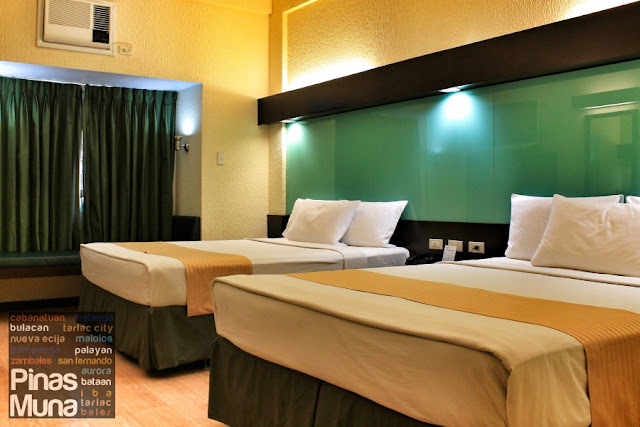 Microtel Cabanatuan is a 50-room hotel located in barangay Santa Arcadia, near some of the city's biggest residential subdivisions and away from the hustle and bustle of the city center. It is easily accessible from the Cabanatuan Central Bus Terminal and just few minutes away from the urban center. 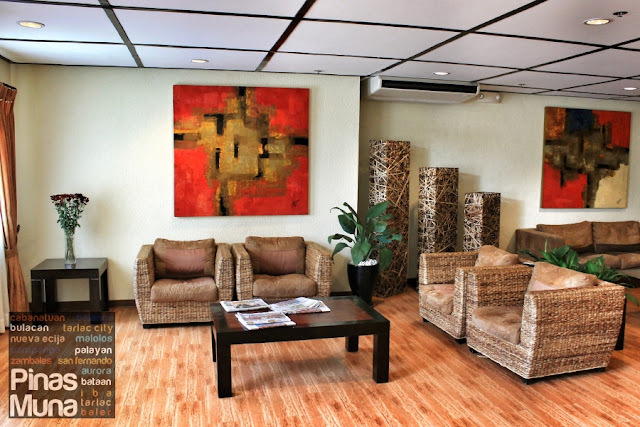 The Microtel Cabanatuan experience begins at the hotel's front desk where the staff welcomes guests with a friendly smile and makes sure that checking-in is quick and efficient. Guest comfort is also a priority at Microtel. The hotel staff will assist you to your room while informing you about the facilities available for your use. 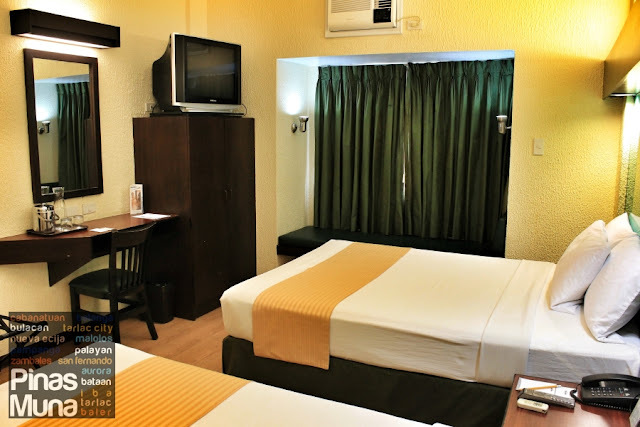 The room is spacious and equipped with an individually controlled air-conditioning unit, a cable-ready television, and a radio clock. Upon entry, the first thing you will notice are the huge queen-sized beds covered with clean white linens. To ensure comfort to its guests, Microtel Cabanatuan fits their beds with chiropractor-approved mattresses, perfect for ending a day of doing business or exploring the city and its neighboring towns. If you wish maximum relaxation, an on-call massage service is available to hotel guests. 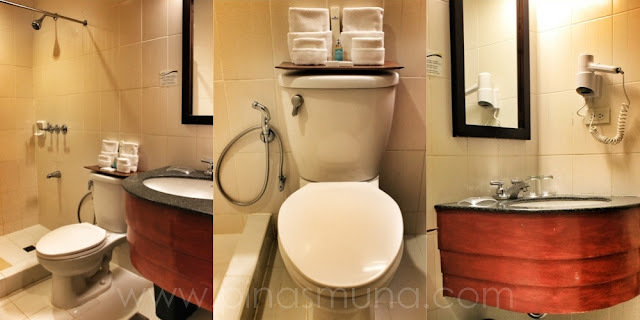 Each room has its own private toilet and shower with hot & cold water. They are spacious, clean and well maintained. The toilet is equipped with a bidet an there's sufficient water pressure anytime of the day. 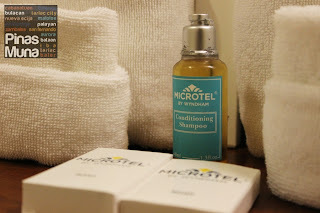 Guests are also provided with clean and fresh towels, soap and shampoo. There's reliable Wi-Fi Internet available at the lobby. Stay connected while enjoying a cup of complimentary coffee available to guests all-day and all-night. Quick snacks like chips, instant cup noodles and bottled beverages are also available for night owls. Begin the day with a warm cup of coffee served with your complimentary breakfast, then cool down at the hotel's outdoor swimming pool. Consistent with the quality of their customer service, checking-out is equally efficient. 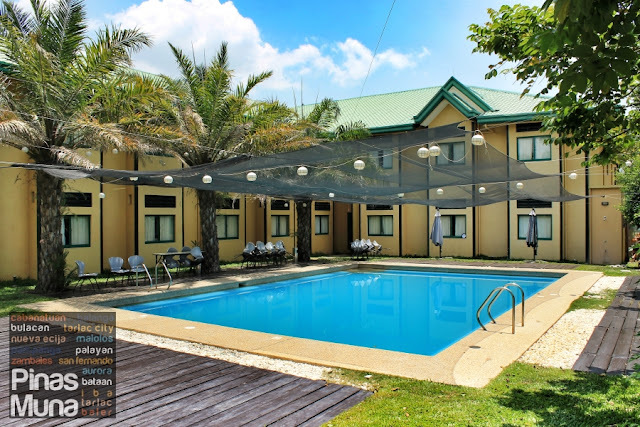 Many thanks to Microtel Cabanatuan for hosting our accommodation on April 27-28, 2013 and to Ms. Lita Budomo, Resident Manager of Microtel Cabanatuan, and her staff for their hospitality and for making our exploration and promotion of Nueva Ecija's travel destinations possible.